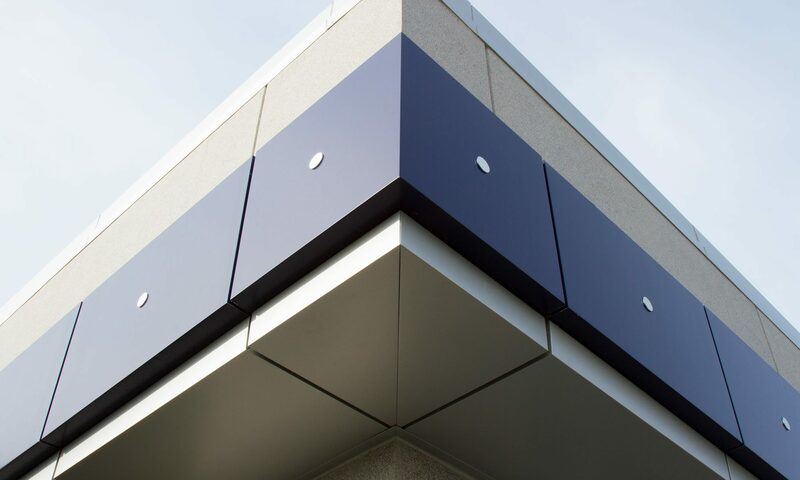 Designed by industry professionals with over 50 years of commercial sheet metal and roofing experience, the Universal Composite Panel System (UCPS) 1000 Series raises the bar in ACM panel attachment. The UCPS 1000 Series incorporates several unique design features not yet seen in the industry including a hybrid design, tubular construction, and a concealed drainage system. The hybrid design of the UCPS 1000 system allows for either a wetseal or rainscreen installation, an option that was previously unseen among ACM panel attachment systems. Additionally, you can stock the same parts for both wetseal and rainscreen wall systems saving you money and warehouse space. The UCPS 1000 also incorporates a first-of-its-kind concealed drainage system eliminating unsightly weep holes. The UCPS 1000 received perfect marks on the rigorous AAMA 508 test and scored a perfect V1/W1 rating on the slightly less demanding AAMA 509 test. Installer safety was a top priority when engineering the UCPS 1000 system. Our tubular design keeps the hands of installers safe by encapsulating the rivets and fasteners and is sure to be a favorite of installers and architects alike.